A couple of nights ago we moored across from a field of cows. 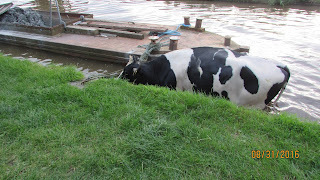 As we were being pleasantly serenaded by their moos we noticed two of them were busy head butting each other. Do females fight for dominance like males do? 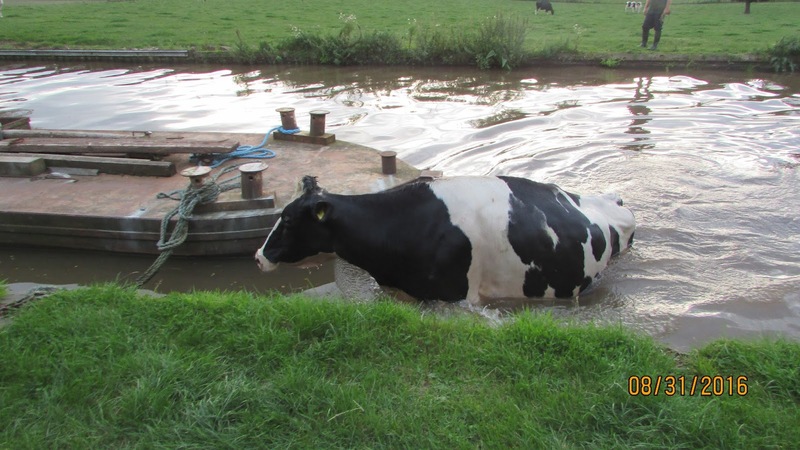 One cow wandered away to stand peacefully by the canal. 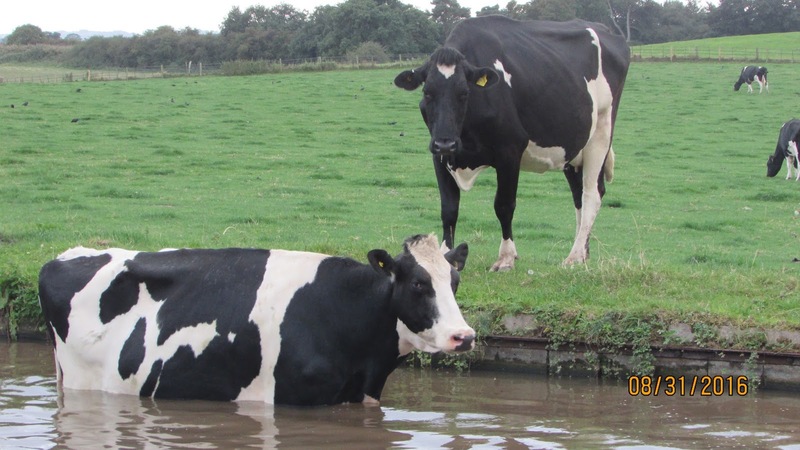 For the other cow decided to make a run at her and but her in the side and knock her in the canal. Now, not to worry. 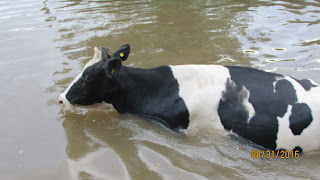 She was not hurt and was not about to drown since all she had to do was stand up in the three and a half feet water to save herself. But, once in the water she had no intention of climbing back out. She walked up and down the side several times. 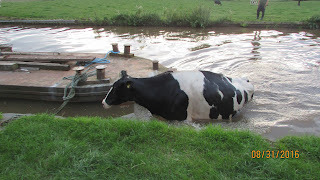 She came over to visit the boats moored on the other side. She stood placidly in the middle. But, she did not climb out. Eventually two men from the farm came to try and entice her out but she was having no part of that. 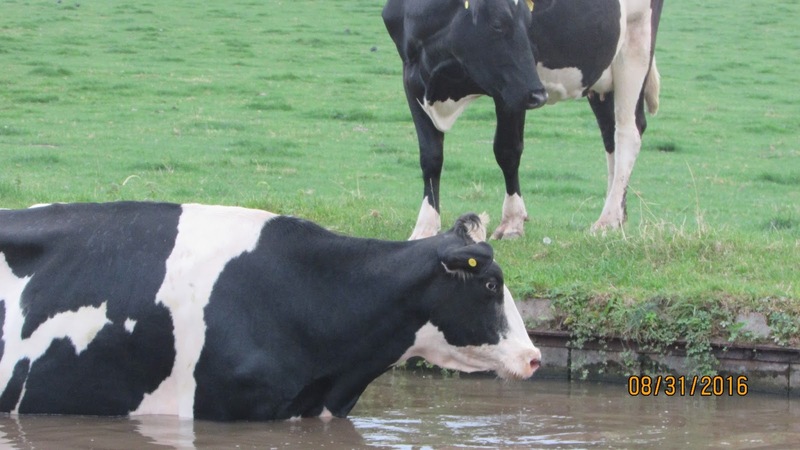 Tempers were hot and about an hour had passed before she agreed to finish her bath and climb back into the field. I am convinced it had nothing to do with what the humans were doing. She saw the other cows heading towards the barn and didn't want to be left behind.